Well, that is a massive hint to tonights video at least, though the blog, in truth, only relates to the first few words of that. But looking at that quote, I’d truly love to spend just one day in the shoes, and body, of Clara Elaine Johnson, and find out what life was like as a dancer in the 1930’s, all the same. But no, this blog isnt about that, though I might come back to that at some point in the future, who knows? No, tonight’s subject is corsets! One issue I personally have with corset ownership, is that its not an item I can get myself into, without assistance. Even before the back issue (more shortly), the arthritis in my fingers would make tying a corset behind my back, nigh on impossible, or in truth, just impossible. And being a single woman (no one is crazy enough to want me lol), I have no one else to tie me into one, either. Great shame, because I’d love to be tied into this, for certain. Wouldnt it be good (see I knew I could fit the song title in here) if you could put on a corset, push a button on it, or turn a device so that it could tighten around you, without all that tying issue, which I cant do? I’m only amazed with all this modern technology that no one has ever designed one, ah well… Or maybe they have, but at such a silly price? Though in truth, I suspect for many (with partners, or supple hands), the tying up is part of the, err, fun. Now in truth, I have no idea how much actual waist reduction this will do, as I cant see zips being able to pull in that tightly, simply because zips tend to just ease open, if you pull them too tightly? But yes, fine, my main aim with this is the back support, and I just see the corset side of it as an added bonus. Lets face it, my face would put potential admirers off, even if I had the perfect hourglass figure! But yes, at that price, I’ve bought one, to see how it goes. I have also bought a more straightforward back brace, which has magnets in it, which are supposedly good for you, but we will see. Thats just one of those velcro fitting things, but that should be fine, fingers crossed. Right, video time. Yes, you must have worked out the song by now, but this version gives you not just one 80’s legend, but two! Author stevielounicksPosted on August 15, 2017 Categories Back pain, Clara Johnson, Corsets, Elaine Johnson, Health, Howard Jones, Nik KershawLeave a comment on Wouldnt it be good? So, whose shoes do you want to wear, just for one day? So yes, the burning question, if you could wear someone else’s shoes, for just one day, who would it be? Yes, strictly that does mean wearing their body too, but that doesnt fit in with the song! Besides which, Jean’s feet were quite a bit smaller than mine, so it wouldnt work otherwise lol! Yes, I cant deny, it would be interesting, just for one day at least, for me to actually be Jean Harlow, though being fussy, I would prefer it if it was the first half of the 1930’s somewhere, but any time, from when she matured, until she fell mortally ill, would probably be a very interesting one. I know, I know, who controls the body, you, or the original person? Your call, you can either be part of the scene, or just along for the ride. Me, I’d love either, though yes, actually having her body, doing as I wanted it to, for a day, would be fun. Though in that case, preferably not a day of filming! I might have acted at school, but not since then. So, readers, just for one day, whose shoes do you want to step into? Feel free in era, someone modern is fine, though as with me, any generation is fine. As the song says, wouldn’t it be good? Feel free to sat why, if you want to, equally, if you just want to leave a name, as a comment, equally fine. But please, let me discover one or two of you, if only briefly, just say something! Author stevielounicksPosted on December 17, 2014 Categories Body swap, Jean Harlow, Nik KershawLeave a comment on So, whose shoes do you want to wear, just for one day? Sunday, it dawned on me, that in 4 weeks time, I would be setting off the next day, to get my permanent make up done, and look even more Harlowesque than I do now! No, I am not getting those 30’s eyebrows though! Really looking forward to that, I must admit. Going to still have to learn the skills of doing foundation each day, mind, should be fun! And lastly, a fun thing. When we finish work at 10.00, we get a taxi provided to take us home. Pure pot luck as to what driver you get. Most times, its a youngish guy, of sub continent origin, playing awful modern music. Last night, I got one of my favourite lady drivers, which meant Radio Leeds, playing 70’s and 80’s stuff! Hopefully I get again this week (3 more late’s), but I should be so lucky! First record was a Nik kershaw hit from the 80’s, called ‘Wouldnt It Be Good’, one of the lines mentioning about being in ‘your’ shoes, even if it was just for one day. 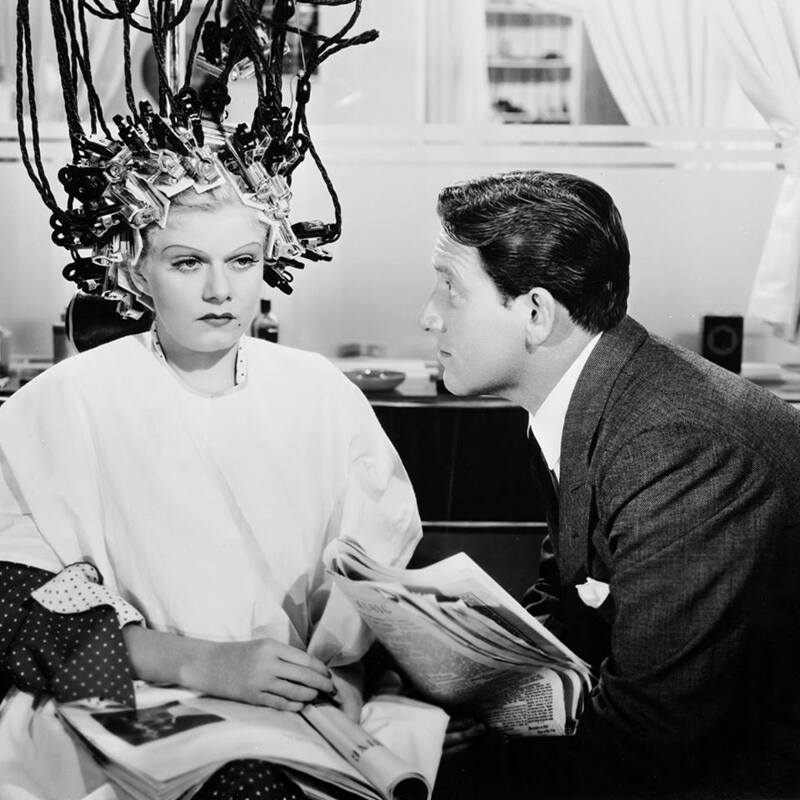 I cant deny, it would be fascinating to spend a day in Jean Harlow’s shoes, thats for sure. Hopefully a day of relaxation (or romance), and not a day being filmed though! But the album of the night, was one I owned on vinyl (for those of you old enough to remember that), on which, back in the mid 70’s, I would do my best Karen Carpenter impressions, in my room, listening to the LP. Singles, 69-73, if you hadnt guessed! This was one of the tracks played while I was in the cab, one of those rare occasions when I was in no rush to get home!